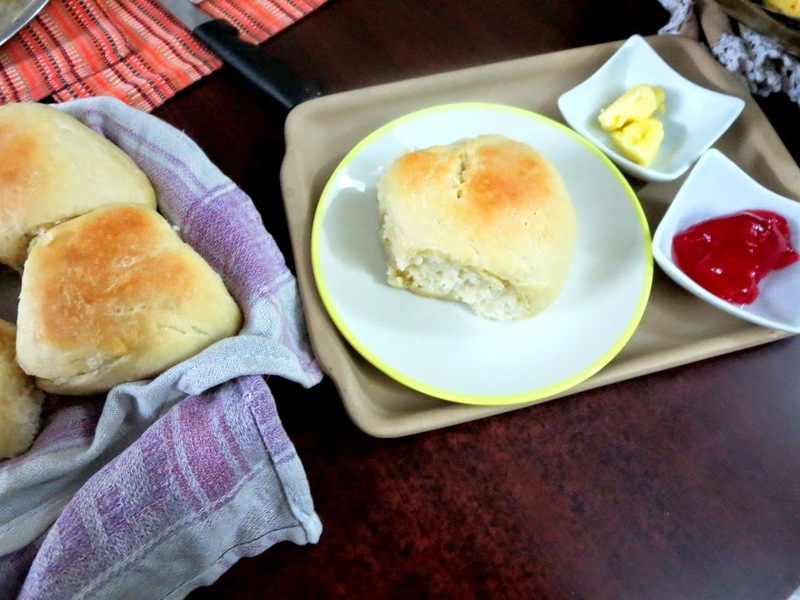 For the final day of second week of BM#41, with Picnic Food, I thought packing freshly baked pav or buns will be amazing! I simply love those buns, right off the oven and I will be literally jumping around, trying to eat it right away. Though I have been baking cakes for a long time, breads have not been that frequent in my kitchen. 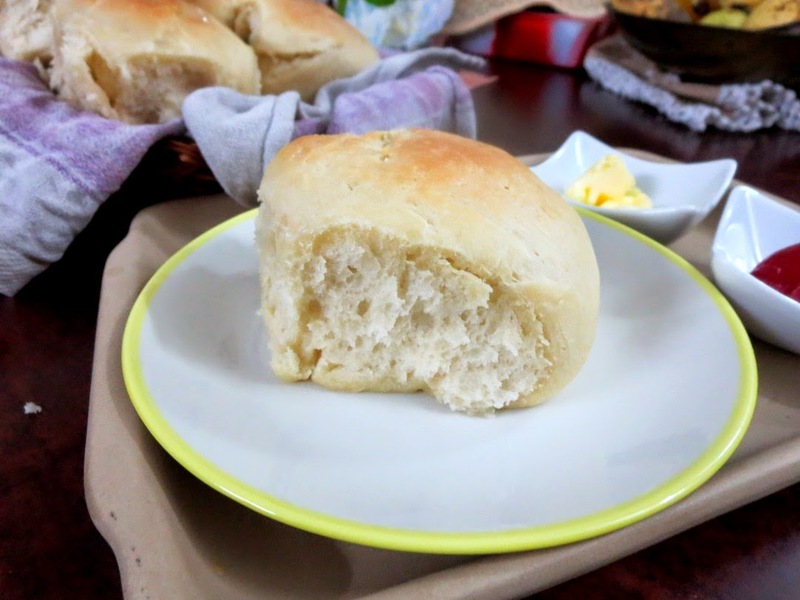 However the garlic bread or garlic pull apart buns, have been a great hit with the kids and have been asking me to bake those frequently. Whenever I make Pav Bhaji, I always wanted to make the pav as well. Time was never on my side each time I plan it. 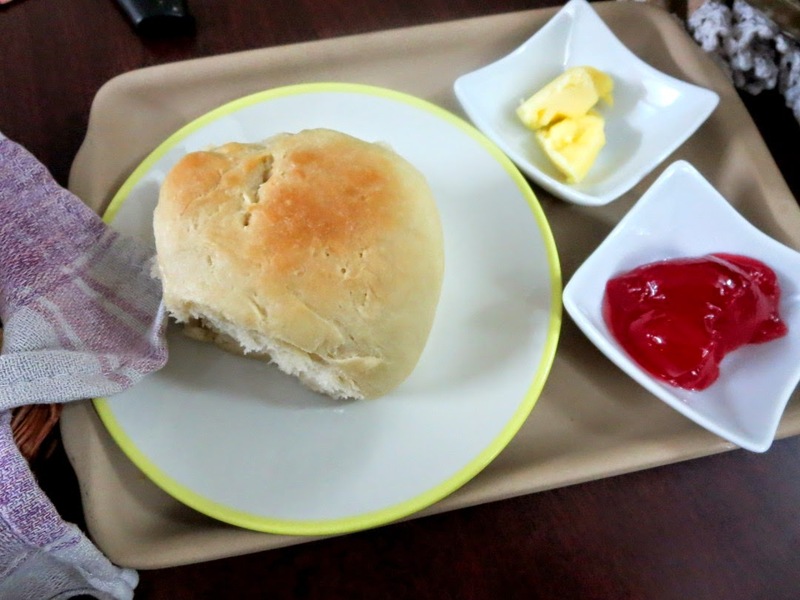 However I had bake Goan Pav for April BM and it was very much enjoyed and more healthier as well. This time I wanted to make a pav as it is sold in bakeries and for that I couldn't obviously substitute with wheat flour. While baking I had realised that my oven was having temperature problem and I was praying it shouldn't give up on me. The entire batch got done properly, though it took more time than expected. The recipe is adapted from here and here, though I ended up adding less sugar and more so as I was planning to serve with bhajji. 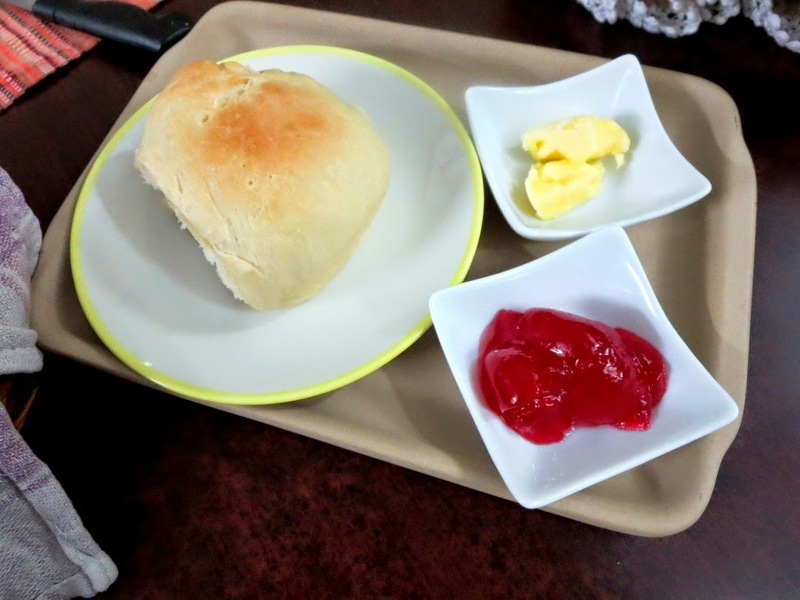 However I thought Kids would also love butter jam to be packed for a picnic and so it ended up being that I had to do with Butter and Jam, a treat no one can say no to. This Picnic theme is again, one of my favourite topic and I have always been on the lookout of dishes that are mess free and easy to pack in a box. These also do a double role of being travel food and one can end up with endless choice! I hope you enjoyed picnicking with me! Take the yeast in a bowl along with sugar and 1/2 cup of warm water. Cover and let it proof well. 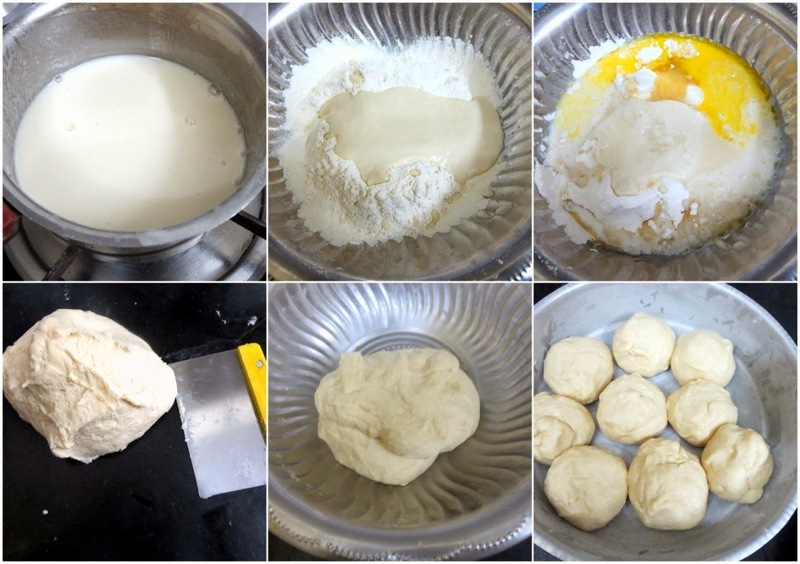 Make a smooth paste of the flour with water. Heat a non stick pan, cook the paste till it blends and becomes a smooth paste, make sure it has no lumps. This takes about 5 -7 mins. Once the Roux is cooled down, transfer to a wide bowl, add the flour, soft butter, proofed yeast, salt, sugar and milk. Knead until smooth and elastic. Finally add oil and knead well. slowly add water if required. Wrap the flour and allow it to rise until it gets doubled. 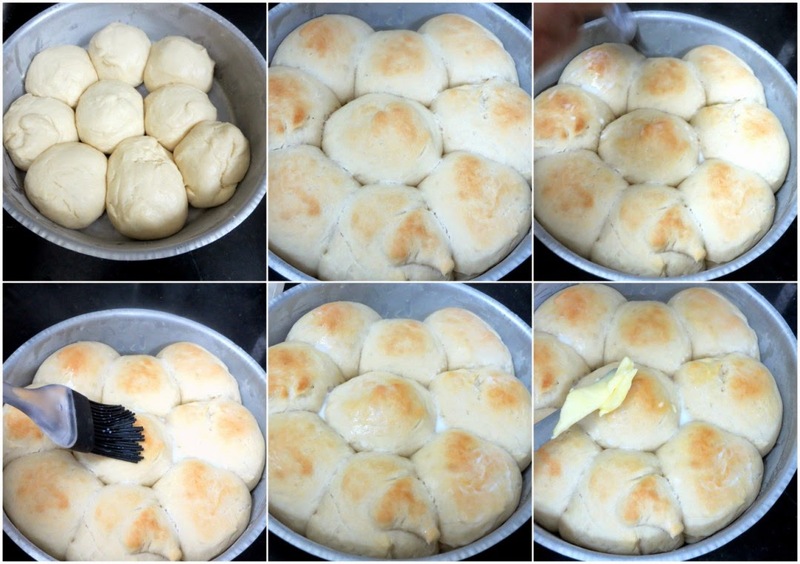 Once it raises up, punch down the dough and divide it into ten equal parts. Make it into a small rounded balls. Grease the baking tin and arrange the balls. Let it sit for another 30 mins or till it raises again. Apply a coating of milk and bake in a preheated oven for 20-25 minutes at 185 C.
Once baked, remove brush with butter and bake again for 5 mins. Let it cool for few minutes before serving. Don't add too much flour to get the pliable dough. The amount mentioned should be enough.